Infrastructure used to be a grey word, associated with concrete and metal. It meant roads, cables and pipes, owned by transport companies and utilities. But now, blue and green infrastructure has begun to infiltrate city planning departments around the world, and for good reasons too. By bringing nature back into cities and working with water, rather than against it, cities can improve livability for citizens, and create greater resilience for urban centres. There are also many examples coming to light demonstrating that yellow, red, and white infrastructure are on the rise too. Cities are changing the whole concept of infrastructure, and planners are painting their way to resilient, low-carbon futures. 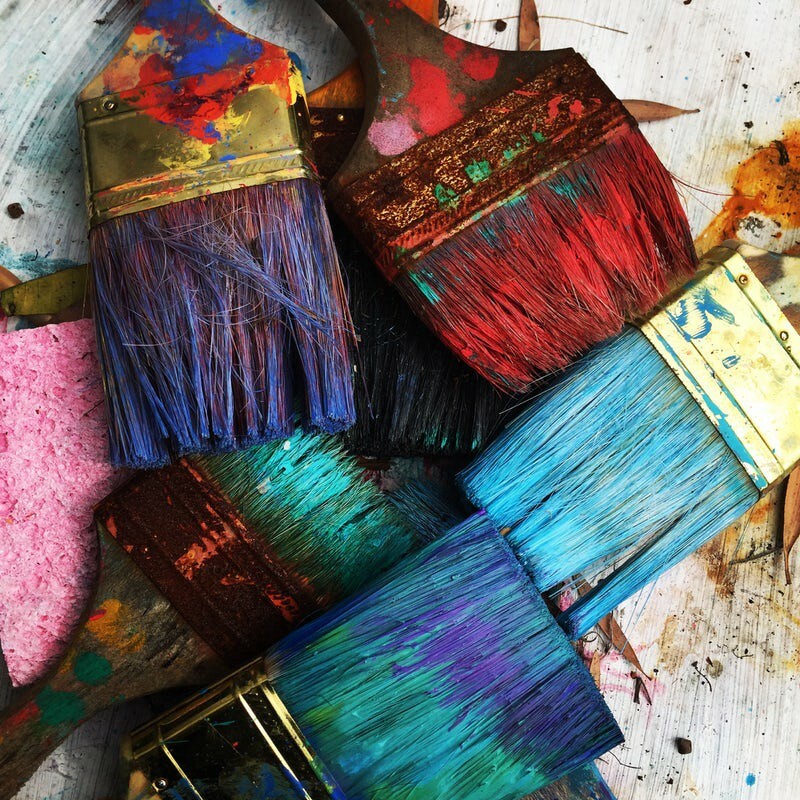 Mixing and matching colours according to each city’s needs means they will be able to paint their own vision for a healthier, resilient and low-carbon future. Mother nature has developed some quite effective strategies for coping with large volumes of water, which can be implemented in cities at low-cost. The permeable properties of soil means that during rainfall events, water is slowly absorbed into the ground, rather than running off the surface, which occurs with concrete and other non-porous, man-made surfaces. By adding more time to the drainage process, drainage systems are less likely to overflow during the most serious storms. In essence, the more green space in a city, the more protected it will be from catastrophic flooding, thanks to the natural properties of soil and the interception of water by trees. Green infrastructure is flood defence. In Jakarta, the city has recognised the value of green spaces, and in an effort to become more resilient to expected flooding associated with climate change, they have committed to expanding the parks from 10% to 30% of the city’s area. This plan demonstrates another rather obvious benefit of green infrastructure — the recreational capacity. In a city with over 10 million people, providing enough accessible land for children to play on and for physical exercise can be challenging, but the 3,000 parks to be completed by 2022 will provide many opportunities — when they’re not in flood defence mode that is. 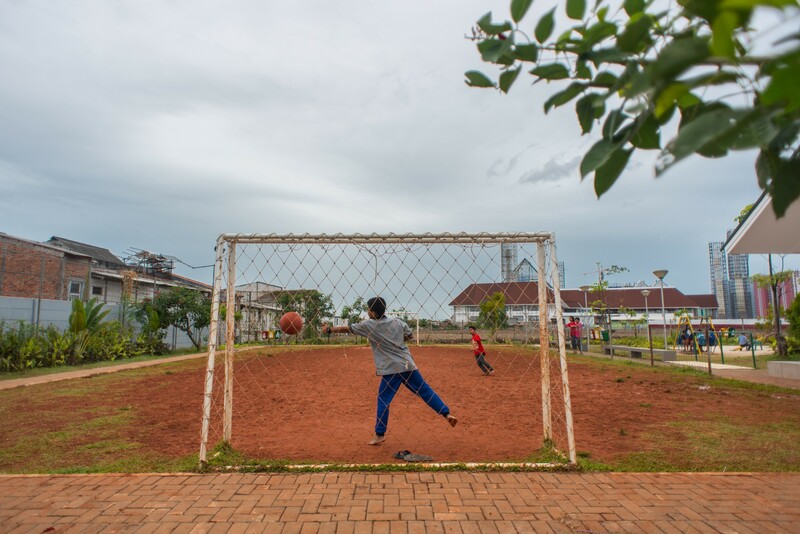 Jakarta is constructing parks all over the city to reduce flooding duration and enhance quality of life — especially for the city’s children. Trees and shrubs also have a fantastic ability to purify water and air. Nitrogen and particulate matter are two of the most hazardous pollutants, and one study estimates that at street level, plants can reduce street level concentrations by around 40% and 60% respectively. These purifying qualities extend to the hydrosphere too, where natural filtration processes clean stormwater above and below ground, putting less pressure on wastewater treatment facilities and reducing the chances of polluting effluents leaching into nearby farmland or waterways. New Orleans is investing in this idea, to help stormproof a city that is by now infamous for its flooding risk. It is one of several strategies being pursued, and although they still have a long way to go, the city is making positive strides. It doesn’t stop there. Trees and other plants as primary producers can contribute to climate change mitigation through photosynthesis and carbon sequestration. Afforestation in cities is as good as afforestation anywhere else, if not better, for climate change mitigation. There’s more, too — studies suggest that green infrastructure can have a huge positive impact on mental well-being, which is crucial in areas where overall mental health tends to be on the slide. Tainan has recognised this and has incorporated happiness into their mitigation plans. Preserving ecosystems and promoting conservation tourism both rely on strong green infrastructure. Trees also have naturally cooling properties, shading street level and buildings, and helping to reduce the urban heat island effect for many cities. 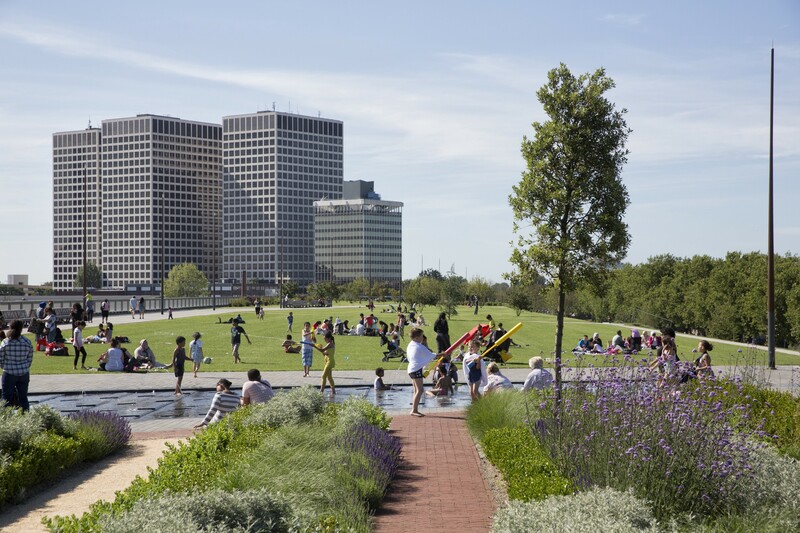 New Orleans is determined to make the city resilient by investing in green infrastructure via a network of parks and green spaces. So, green equals good. But what about blue? 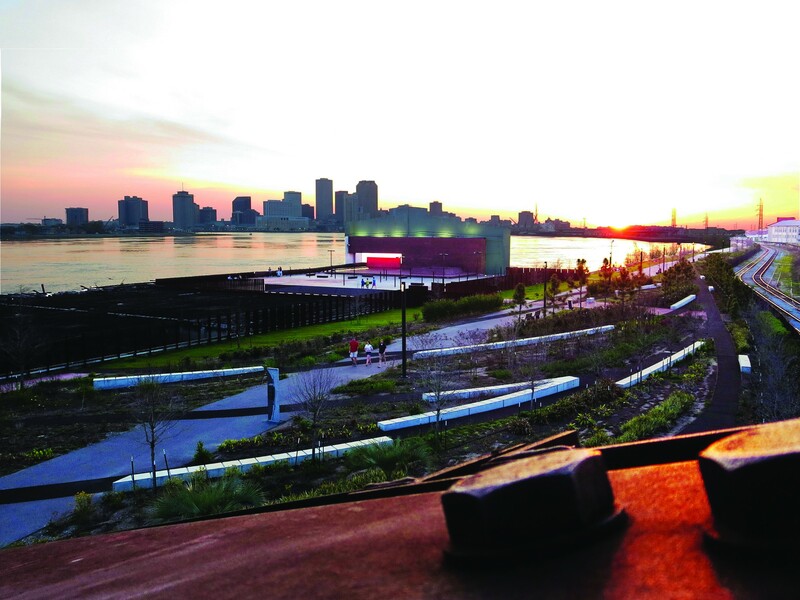 This colour of infrastructure is a new concept for many, but in cities where excess water can be problematic, rather than pushing against it, planners are starting to re-embrace it. This may at first seem a little counterintuitive, but placing lakes, pools and streams strategically throughout cities can help to slow the flow of stormwater runoff, and allow for better groundwater recharge. Not to mention the aesthetic improvements and potential mental health benefits. Historically, rivers were straightened to maximise efficiency and create space for development, but by returning many of these stretches to their natural course, cities can slow storm water flows. 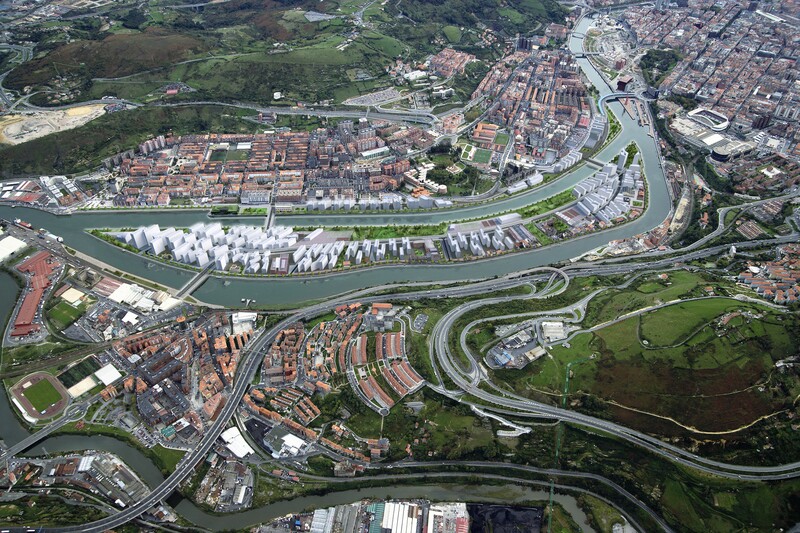 Bilbao for instance, has connected an old canal with the natural river course, to allow more space for surging river conditions, in combination with a brown field redevelopment project that will regenerate a central area of the city in a resilient manner. Bilbao’s major urban regeneration project will turn a formerly industrial and contaminated peninsula into a carbon-neutral island, safe from flooding. Gibsons has taken the approach one step further, as the first North American city to create ‘eco-assets’, acknowledging that natural ecosystem services can often be superior to engineered solutions. They are protecting the Gibsons aquifer which provides naturally filtered, clean drinking water for the population, showing that blue infrastructure can have multiple services for cities. It is also a perfect example demonstrating how blue and green infrastructure types are so fundamentally entwined. On the outskirts of St. Petersburg, the community of Novoe Devyatkino combined blue and green infrastructure to protect against cloudburst events as well as provide a new recreational space for citizens to enjoy. They are now exporting their idea to other Russian communities keen to bring nature back to their urban surroundings. Blue and green have been partners in disrupting infrastructure for some years now, but more colours are joining the climate action crew. Yellow infrastructure means energy generation and climate change mitigation. Covering previously underutilised roof space with sunshine harvesting Photovoltaics panels can help cities like Austin, Mendoza, and Durban to meet ambitious CO2 reduction goals. Red infrastructure marks socially valuable space, such as red roofs in Rotterdam, where clubs, seclusion spaces and community lunch-rooms can occur. White infrastructure is used in cities facing heat challenges. The heatwave in southern Europe this year is an example of what is expected to become the future norm. By repainting surfaces white, cities can reduce levels of sunlight absorbed and reduce the urban heat island effect. Barcelona is combining benefits from white, green and blue infrastructure to improve the liveability of their city even in intense summer heat. Turning the city’s rooftops into a second ground level, Rotterdam is mitigating tons of CO2, while adapting the city to become a resilient and attractive place to live. 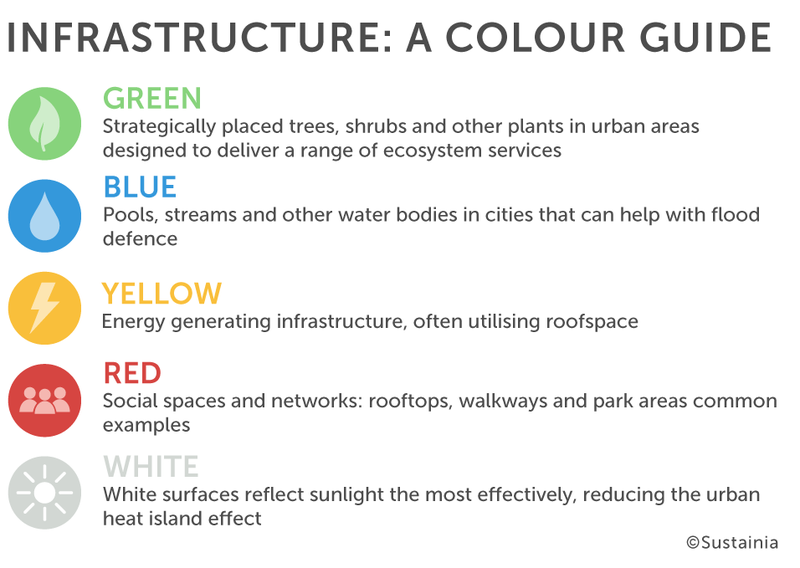 What stands out about the new infrastructure colours is not only that they can have multiple co-benefits, but also they can be combined in innovative and unique ways. This new palette of colours has changed the way city planners work and think, and is revitalising cities everywhere, while simultaneously providing new market opportunities for companies to innovate. Mixing and matching colours according to each city’s needs means they will be able to paint their own vision for a healthier, resilient and low-carbon future.